A clearly-defined company culture is a major part of what attracts remarkable talent. If you want your business to stand out, you have to build it up from the inside with people who mesh well with your brand. Before searching for candidates that seamlessly integrate into your corporate culture, you have to define it. Do you want your business to be fun and carefree? Intellectual and to the point? Thoughtful and insightful? Much of it comes down to your industry, your values, and your employees. While a small business that works closely with women in developing countries may exude kindness and thoughtfulness, it might be odd for an oil company to take on the same persona. You have to take a close look at your industry and your target audience before narrowing in on the cultural persona you’re about to embrace. 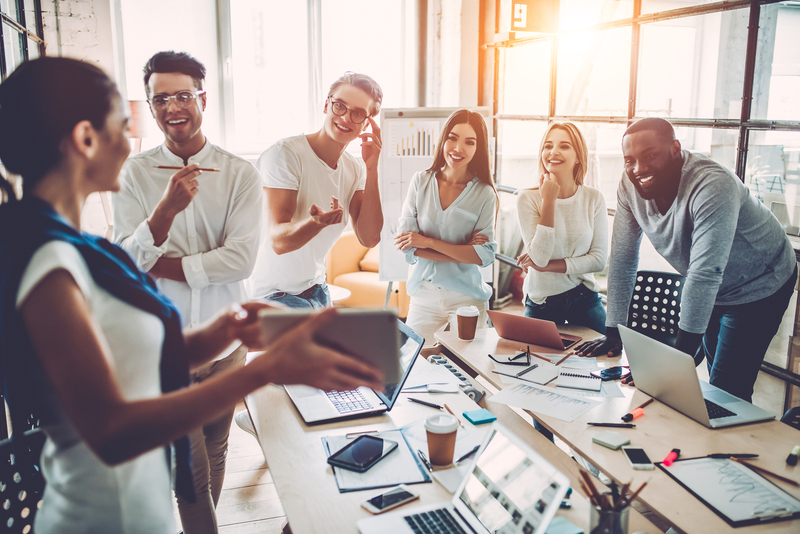 Values and employees that radiate those values are the largest contributor to company culture, which is why attracting the right candidates is a vital part of any business. If your company values ethics, integrity, and respect you should be on the search for candidates who display the same values. So, how do you go about finding the perfect match? Don’t be afraid to show off your brand! If you decide your company should exude fun and positivity, show it! Share the happy hours, the bring-your-pet-to-work days, the company parties, and, most importantly, the people at the heart of your business. Make your captions energetic and engaging and show off the pride your employees shows in their work. If your company values are ethics, integrity, and respect, make sure your social presence demonstrates those values. The way you write should be intentional, calm, and engaging, and the photos you share should be clean and purposeful. Curating your online presence and transparently portraying your company as reflective of those values will gain you followers who share your company’s values and philosophies. Soon, your company will become a destination for talent that shares your values. You should also be plastering your company culture everywhere you can. Along with the required experience on your job postings, list your values. This lets potential candidates know that a cultural fit is a priority for your company. Once you’ve become more transparent and candid about your culture and values, you’ll already be reaching a good number of potentially like-minded candidates. After you have a good pool of applicants, screen them for the culture fit. You don’t have to grill your candidates, but take steps to help ensure they fit in well if they get the job. Start by asking them what they value in an organization, and pay close attention to what they say. If they offer you canned responses, dig deeper until you get real answers. Give them a tour of your office, have them meet with multiple people in different positions, and find out what they enjoy doing in their free time. If you’re paying close attention, you’ll be able to get a good read on how well they would fit in. After the interview, ask your employees how well they clicked with the candidate and whether it would be a good match. Don’t feel guilty about rejecting candidates because they don’t match your culture. Companies are built from within by good hires, and having people who share company values will only help your business succeed. If you’re looking for top candidates to fit seamlessly into your company, reach out to us today! We love matching awesome candidates with awesome companies, and we’d be thrilled to help you next!